With Ben's permission I am doing a build log of his F4 Phantom. I have made some minor changes also. I started the build by printing all the PDF's as tiled PDFs with Adobe Reader on to gray card stock. Cut and taped each 30x20 sheet together (8 tiles each). Then I cut out the parts and transferred to foam board carefully marking all Cut, Score, Bend and reference lines onto the foam board. Don't forget to transfer the panel markings (1F, 3R, 5, 6,etc.) that Ben placed on the pieces also and make sure you put them in the same place he did, they are there to help orient the pieces together later. 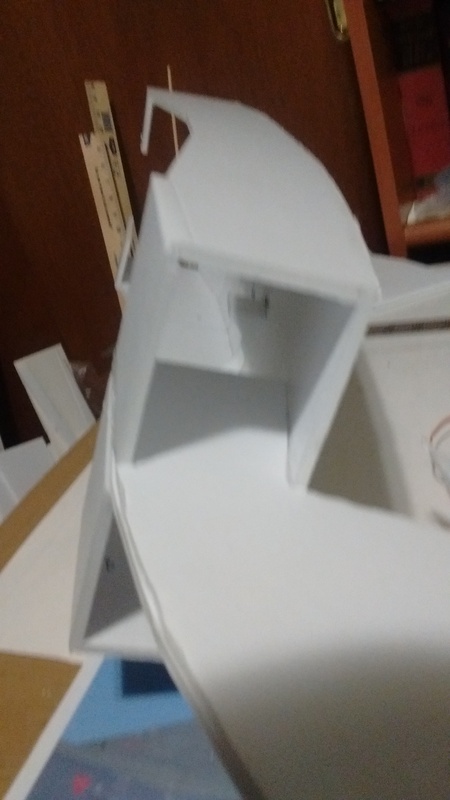 After cutting out the foam board parts I did a lot of trial and error part fitting trying to figure out the orientation of the pieces. Did some messaging with Ben also via the Flite Test build Blog. I choose to do retracts also and so while I waited for them to be delivered I started on the fuselage parts and ducts. Pay attention to the type of fold joint called for on the parts. Some are "A" and some are "B" and they make a difference. While building the ducts I remember Ben said he was going to move the EDFs back to help with battery placement. 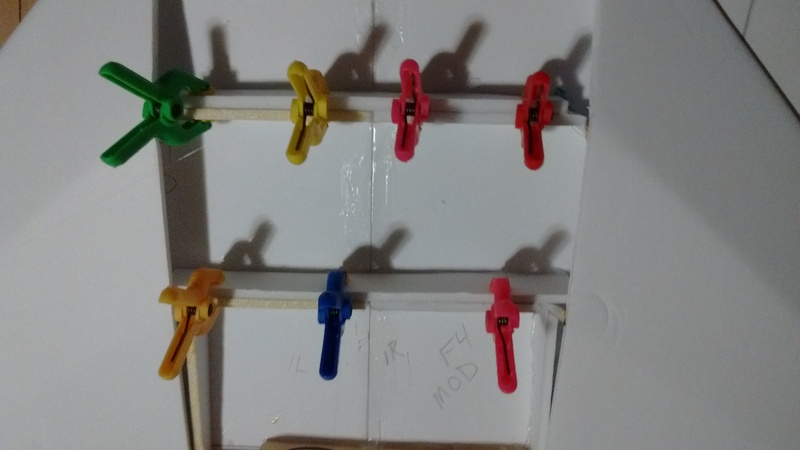 So after the EDF cradles were assembled I placed them into the current position slots in the ducts, then removed and moved to the back slot and marked for a new back slot. A better way would be to only cut out the back slot and use it and the cradle to mark a new back slot making this one the front slot. Then you wouldn't have to plug a hole! This will move the EDFs back and inch and three-quarters and should be plenty to help battery placement. 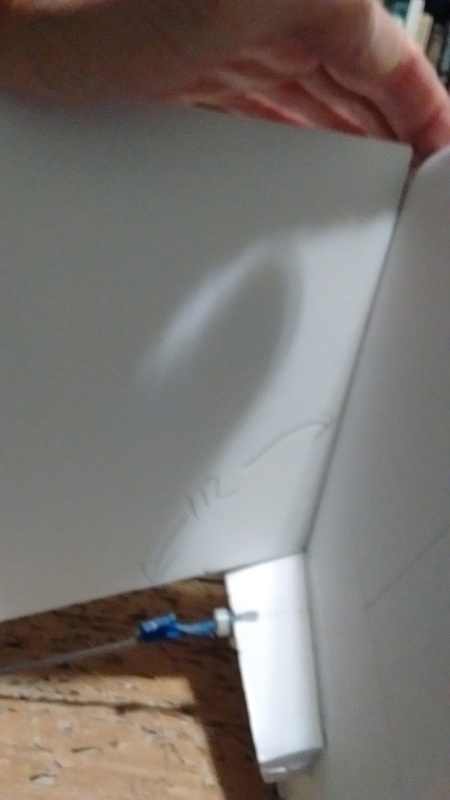 You then will need to fill the front slot with a glued in piece of foam board. Make sure the inside of the duct is smooth so as not to disturb airflow to the EDFs. See picture for details. Don't close the top of the nose area until you finish the nose gear installation and the nose wheel steering servo. It would be very hard to work on if you do. I'll be continuing the build. Keep watching. Very nice! Once work picks back up after the holiday lul i Def want to build one of these! Just rebuilt my Viggen due to faulty servos. Actually going to paint it this time around. As of yet, I've never spent the time to paint since I'm still relatively new to the hobby but feel I'm getting to the point where I'll be ok. Plus with snow on the ground I have to do something so it doesn't turn into a pile of mush. Good note about the nose gear area and steering servo, too...definitely important to do all that before closing the nose. I ordered the same nose gear retract that Ben used and for main gear I ordered the F5 tiger 80mm mains complete (they were very good price) and also their plastic mounting blocks all from Motion RC. The mains come with an upper strut door cover that hinges in the plastic mounting block and I wanted to try and use that strut cover. I love doing business with Motion, they are Veteran owned and just super customer friendly. I did need to swap the main gear leg struts from the knee joint down between the left and right gear to get the wheels up into the wing panel. 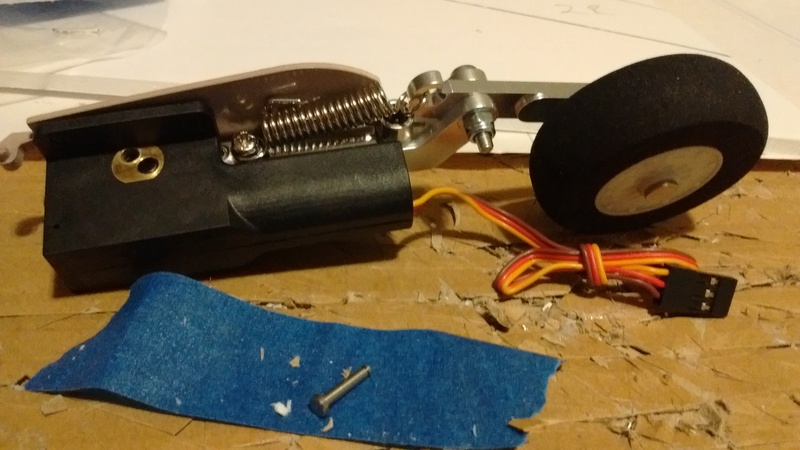 Instead of trying to replace the little 2mm "E" clips on the pins after loosing one that went flying somewhere, I just drilled them out slightly and used a 3mm bolt with a locking nylock nut to re-assemble them. No lost "E" clips in flight from these. See picture if you are using these retracts. Waiting on EDFs now to continue the fuselage and ducts. May try working on the stab while I wait. Part 3 coming. One thing I should mention that I forgot in the beginning is that I am not using Dollar Tree Foam Board. I am using Ross FB from WalMart. It is the same dimensions and thickness but has much better paper. It is more like the brown water resistant FB from DT. However the paper is a bear to remove if you chose to remove it. Wetting it or using alcohol makes it even worse to remove. With that said, in most cases where Ben marked his plans to remove paper I did not. There were a few small areas (nose for one) where I meticulously picked off the paper. Okay enough said there on with the build. 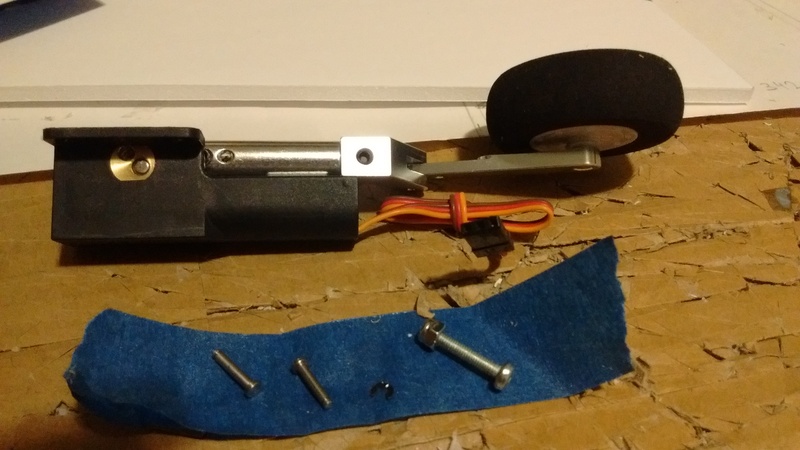 After getting the landing gear from Motion RC I started with the nose gear. The Mirage nose strut was too long to suit me and the mains that I would be using. 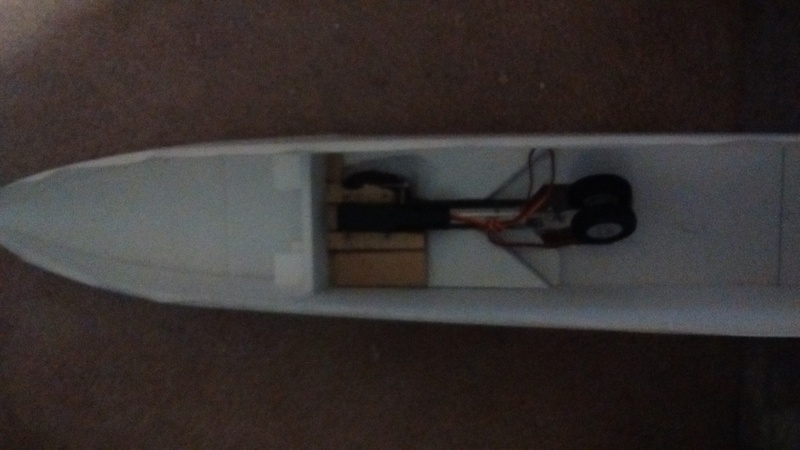 Rather than try and shorten it I just recessed it up into the fuselage three foam board thicknesses then added a 3/32 5ply mounting plate and a bukhead just forward of it from foam. See pictures. This lets the gear retract all the way into the fuselage also. 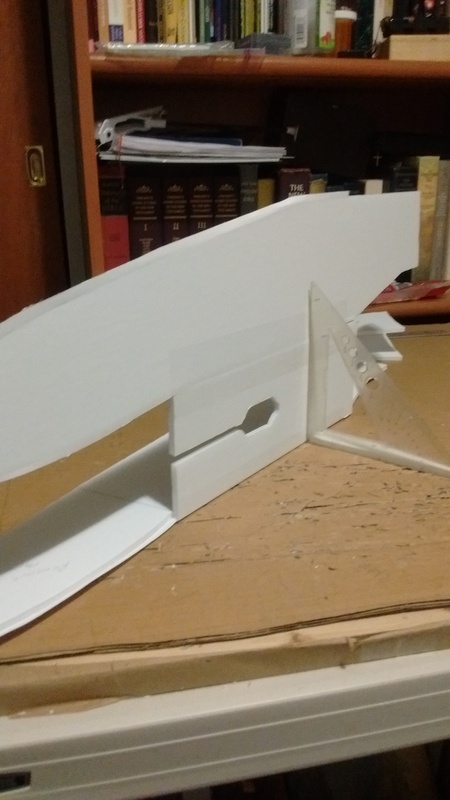 I also added a foam board doubler to fuselage sides to help hold the ply plate in place and a second 3/32 ply doubler rail where the mount screws would go. 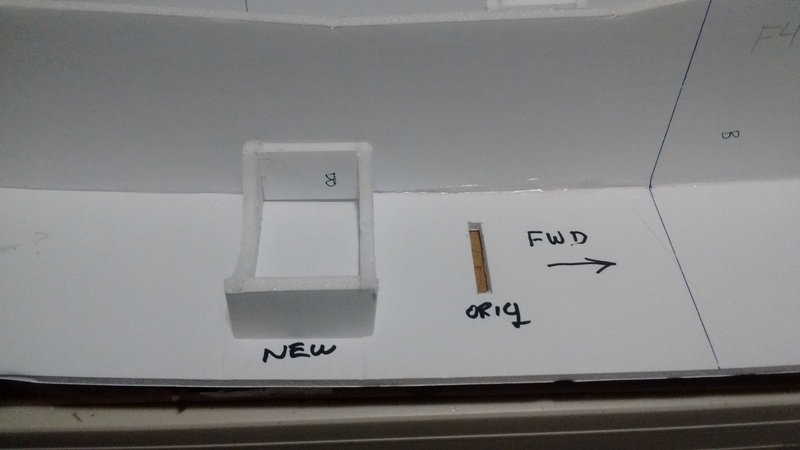 The nose gear steering servo will be recessed into the 3 FB doublers next to the nose gear to align the steering. Short coupled this way. Pictures. After you are satisfied with the nose gear mounting and it is mounted and the steering installed,hooked up and tested then you can install the forward fuselage top piece. A few more pictures of the nose gear and steering installation. 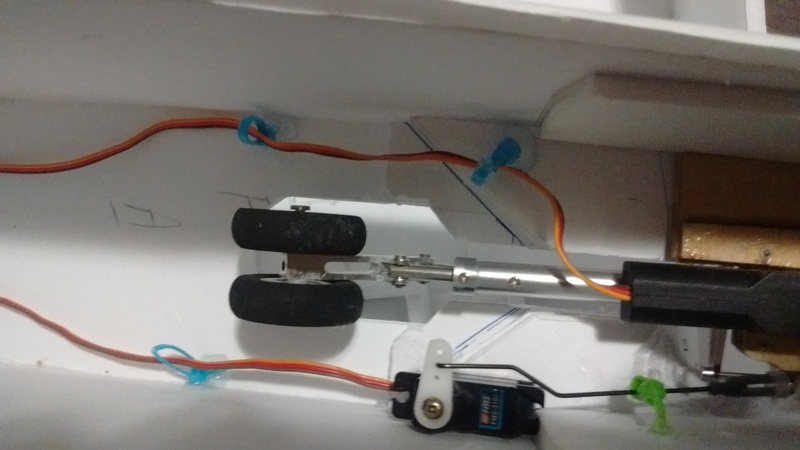 Note the use of Zip ties to hold steering linkage at right height for gear retraction and to keep wires away from the nose gear. I can now install the rest of the fuselage top piece. 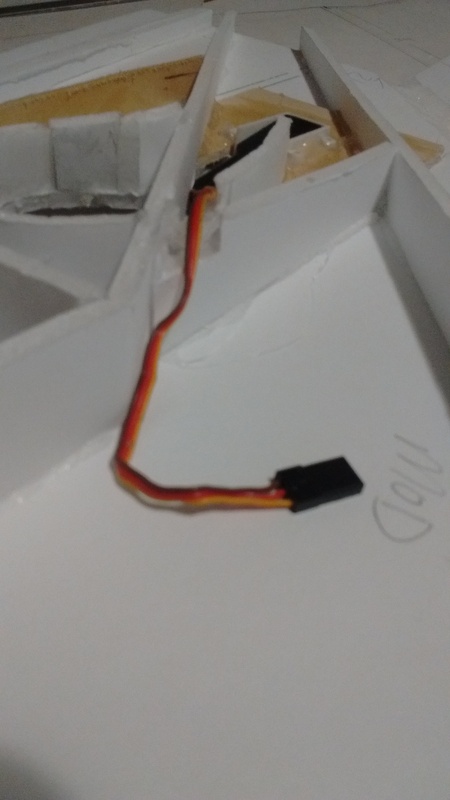 I was getting ready to start the EDF install in the ducts when I discovered (remembered) that my two 70 mm FMS EDFs are embedded in glued on foam cowls on a Depron Boeing 767 that I still haven't maidened due to icky weather here in Washington state. So I either have to wait till after the maiden, which if goes well I won't want to remove the EDFs or find the $120 for two more FMS EDFs plus what ever two 70 amp ESCs will cost. Either way fuselage and duct are now on hold for a bit. Off to the wings I guess. So far I'm very happy with what I bought for my Viggen though she's only seen about 2 batteries through her as of yet. Two FMS EDFs should only be about $70, but I just checked and it appears Banggood has increased its price from $35 to $50 each! I would wait to see if the price comes back down, because that's just not right. It's almost the same unit, spec-wise. But you can use anything you like with comparable capacity. BTW: Awesome job on the nose gear, and detailing and explaining the installation! I know I followed your link to Banggood when I first read your F4 article and they were $38 then. When I went to order them a couple days ago the price had jumped to $51.99. RC Castle has the FMS 4S ones for $43.66 right now. There are cheaper ones and there are more expensive ones, but I know the FMS quality is good and I like the wire placement. I have the Yak 130 70mm that the Motion RC one is for except that they are now 6S and that's why the 4S is out of stock. They aren't re-stocking it. It's been out of stock for over a year. My Yak has the 6S version, but that's a heavy battery when you go one big enough to run two EDFs for any length of time. I'm not comfortable buying cheaper EDFs as I have had a couple cheaper ones explode! They Hobby King ESCs are also out of stock. I just ordered a pair of Hobbywing Skywalker 85amp ones for $46 total. I have escs but not a pair that are alike. Ordered the FMS 70mm EDFs from RC-Castle (Hong Kong) on Jan. 14th and received them today Jan 22nd. Still waiting on the ESCs that I ordered two weeks earlier via eBay. I've had a couple ZTW ESCs melt down on me while only pulling about 75% of the rated amps. One time it not only cost me ALL my electronics in the plane including retracts, but the ensuing fire burned a 30 by 40 foot section of our grass field before we got the fire out!! Also I don't think those UXCELLs are going to put out as much thrust as the FMS ones. Quite a bit less KV on the motors. Just ordered a pair of FMS 4S EDFs from RC Castle Hobbies for $43.98 each. They were the cheapest I could find them, even beat out any eBay prices for the FMS edfs. RC Castle is in Hong Kong, but I have ordered from them before and got good service. Here I deviated some from Ben's plans. 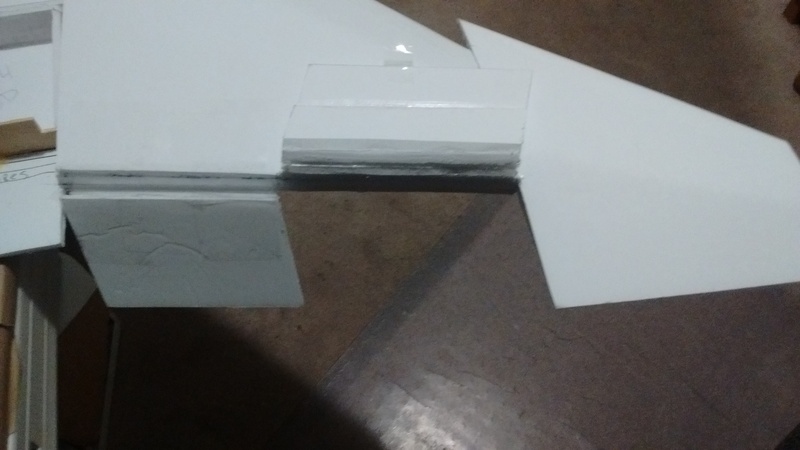 I felt the wing should be slightly bigger, sooo, I added one and half inches to the main wing panels at the tip end. Re-shaped the tips accordingly and lengthened the spars also. This I am sure isn't really necessary as Ben's flew awesome. Just my take on it, we'll see at maiden time. I started by laying out the wing and marking all lines on the inside. I then cut the red and beveled where needed. Flipped the wing over and clear packing taped the outside of the leading edge, Flipped back over and proceeded to mount the landing gear mounts that I had bought. Your build may be different here. After locating the plastic mounts I recessed them into the outside of the wing bottom slightly so that they were flush with the bottom surface and hot glued in place. I then cut and installed a 1/8 thick Bass Wood doubler over the entire landing gear mount area. See pictures of landing gear mounts in post number 5. I noted that the spars are beveled for the wing tip dihedral also. I decided that it would be too difficult to wrap the wing tip around these in place without damaging them. 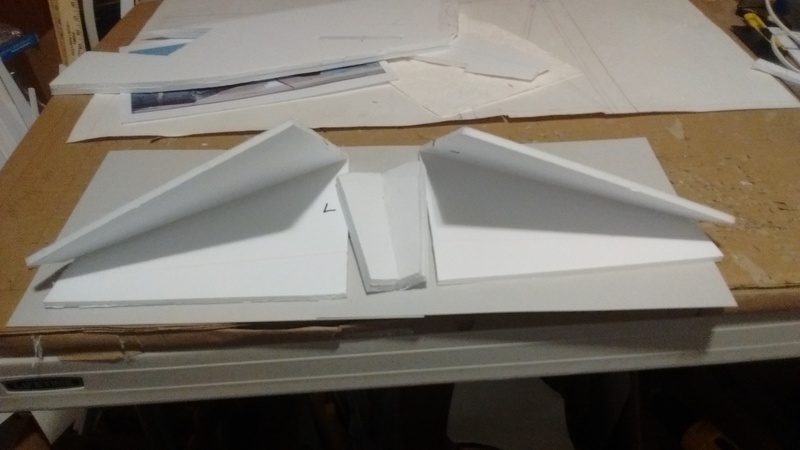 So I made a couple wing tip dihedral templates from them first and then cut them flush to the main wing. 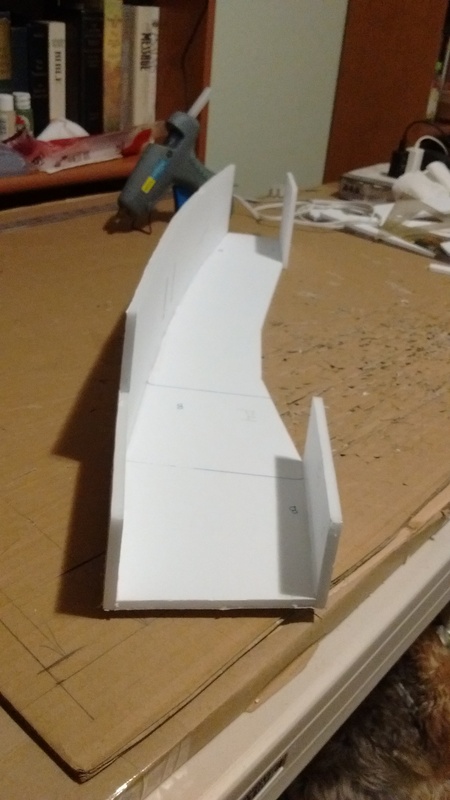 Wing tip dihedral template at end of this post. Ben actually had a black line here already so he may have meant for them to be cut off during assembly. I can't be sure and didn't ask him. 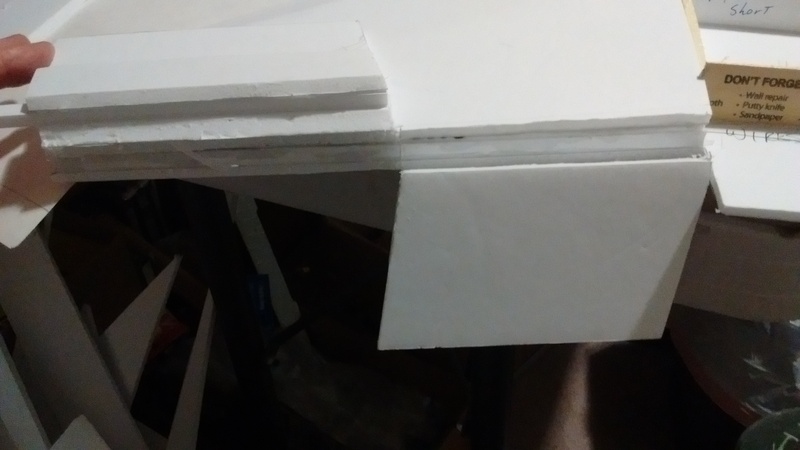 I also put a foam board trailing edge spar in just ahead of where the ailerons and flaps would be cut out. 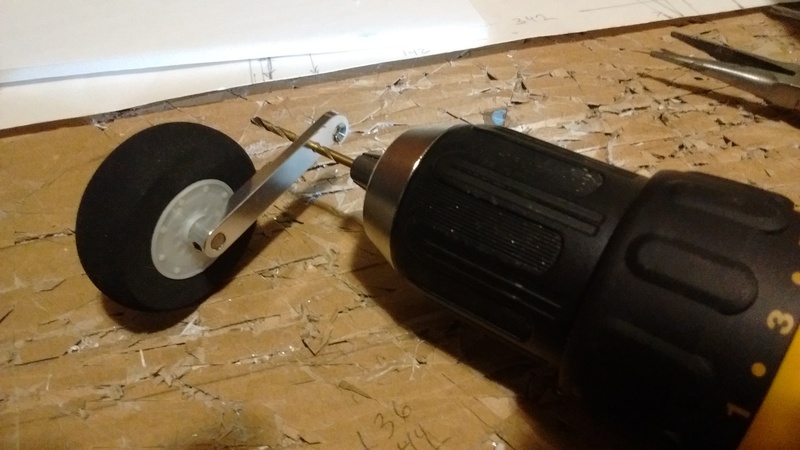 I decided to enclose my wheel wheels just for appearance. If you do that, then make sure you leave cut outs for the landing gear wires to pass through. 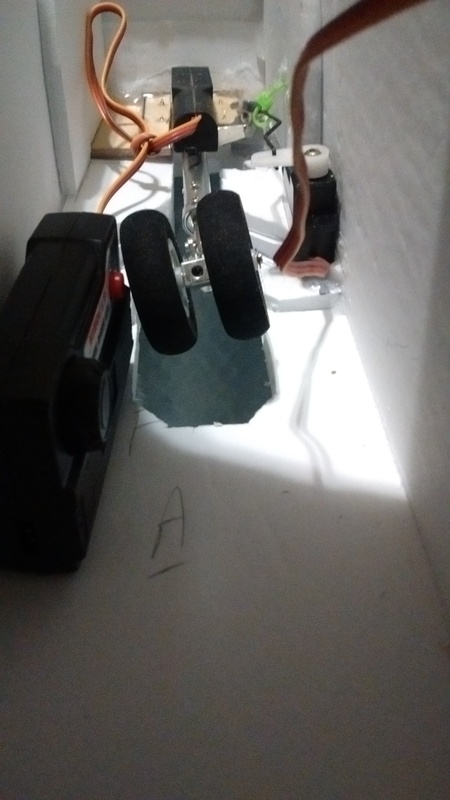 The brown seen through the wheel well is my build board showing through. I also made a template for laying out the flaps and ailerons onto the wing surfaces since they were not marked on the plans. See pictures in post #5. I didn't split them evenly, I made the ailerons slightly longer than the flaps since they are not out at the wing tips. 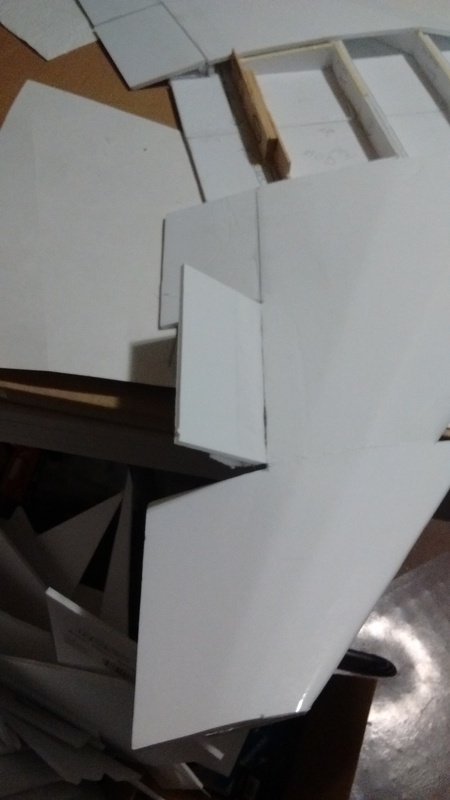 I also scored the ailerons to hinge from the top wing surface and the flaps to hinge from the lower wing surface. This will give the flaps more deflection like the real F4 had. 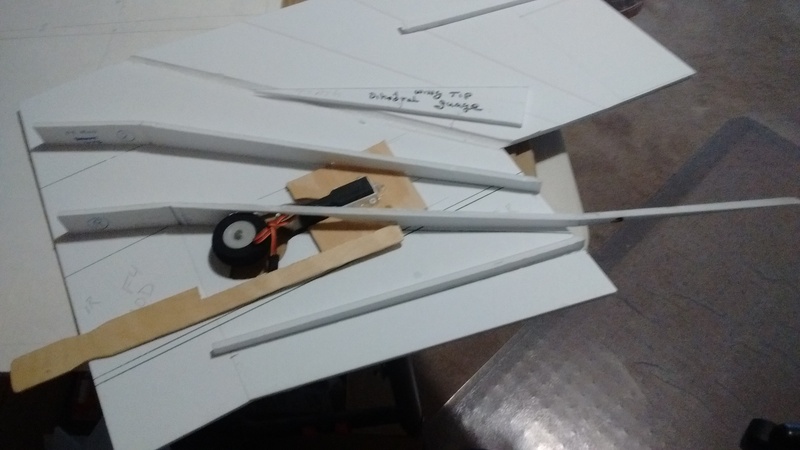 I did this scoring lightly before gluing the wing panels over the spars to make it easy to cut them out later. Be sure to add the paint stick spars at the back before folding over the wing. 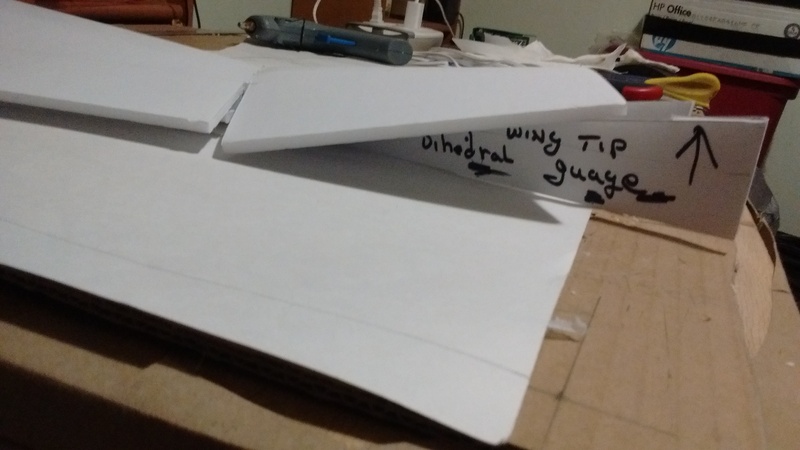 Make sure this extends past the uncovered area in the center so that they can overlap and glue together when joining the wings. As an after thought here, I didn't install any servos or landing gear until the wings were complete. This meant I had to fish wires through somehow. 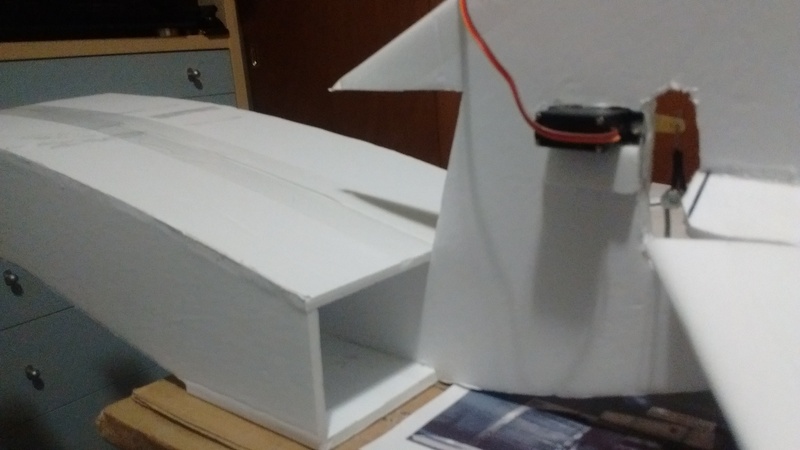 You might want to install the servos and landing gear and route the wiring now before folding the wing and gluing it shut. This would make routing wires much easier. After that I was ready to fold the wing. Because there are so many places requiring glue I decided that some would get hot melt glue and the rest would get Gorilla glue or you could use white glue like Titebond or even Elmers. Be sure that you weight down the wing half well while it is curing so that the bottom stays flat on your building board to prevent any warps. 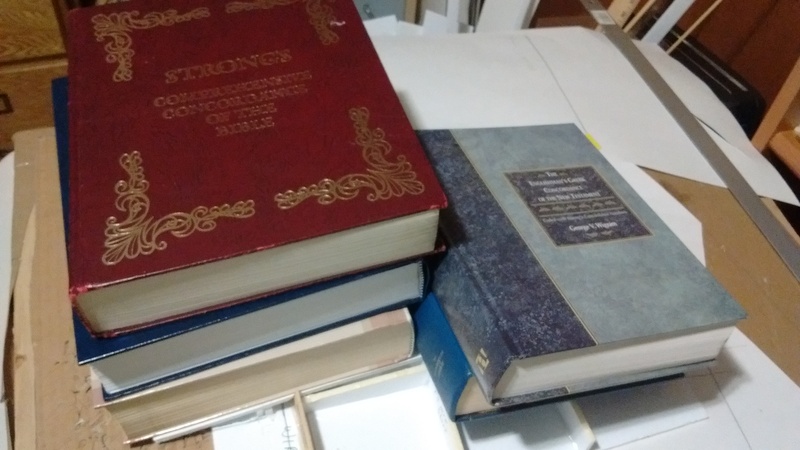 I found a second use for my 5 heavy Bible concordances here. Yes, there is a wing under there somewhere. LOL I used Gorilla glue on the inner spars and wheel well area because it has some expansion when curing so it should fill any slight gaps that might be present and give a better glue joint. It also meant I had a little more time with the hot glue only on the leading edges and the trailing edges. Do the Gorilla glue first as it cures slower than the hot glue. Also go easy with the Gorilla glue though if you do use it because it does expand. It is also lighter than hot melt glue. With the two wing halves made I then did the wing tips, make sure you put the cut off spar tips in, and in the right place. There is a front and a rear one, you did mark them when you cut them off right? 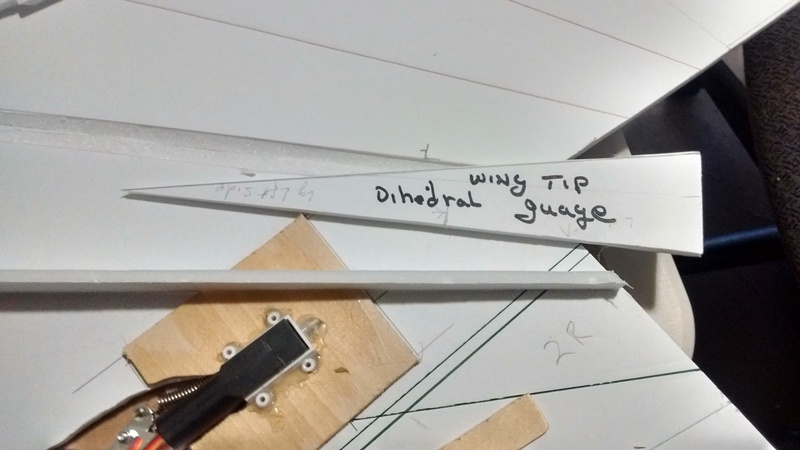 Once the tips are cured you can glue them to wing halves using the templates made to get the right dihedral. Again keep the wing weighted down flat on your build board during this step. I also included a short dihedral spar brace of foam on each spar. Probably not really necessary but I tend to over-build, a hang over from the vibrating Nitro days. Next step is to join the wing halves. 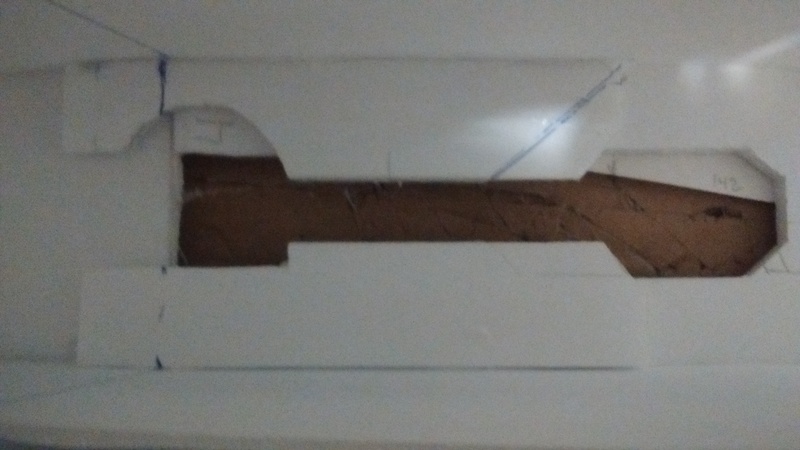 I flipped the wing panels upside down and clear packing taped the center joint first, flipped them back over and opened them just enough to run hot glue the length of that joint. 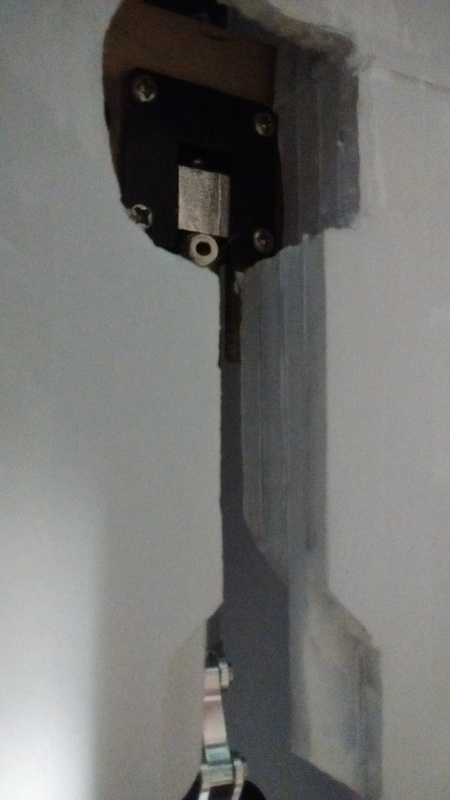 You don't need a lot it will squeeze out when you close the joint. 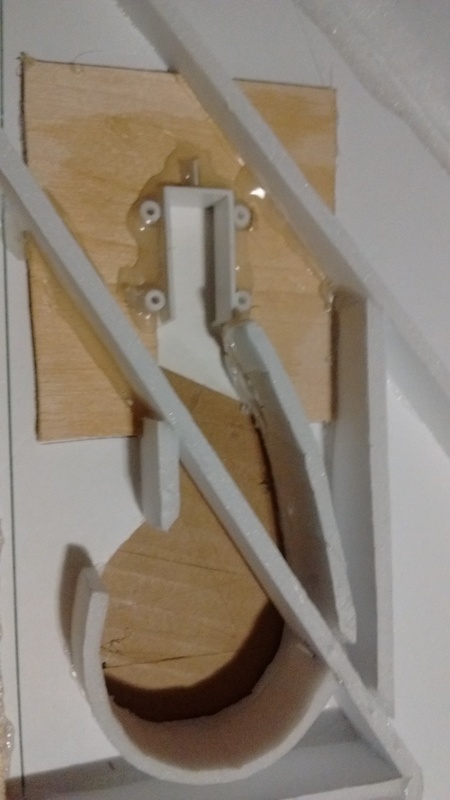 Close the joint and weight the wing halves until the hot glue cures to keep them warp free. When the hot glue has set make foam doublers for the foam spars and glue them in place. 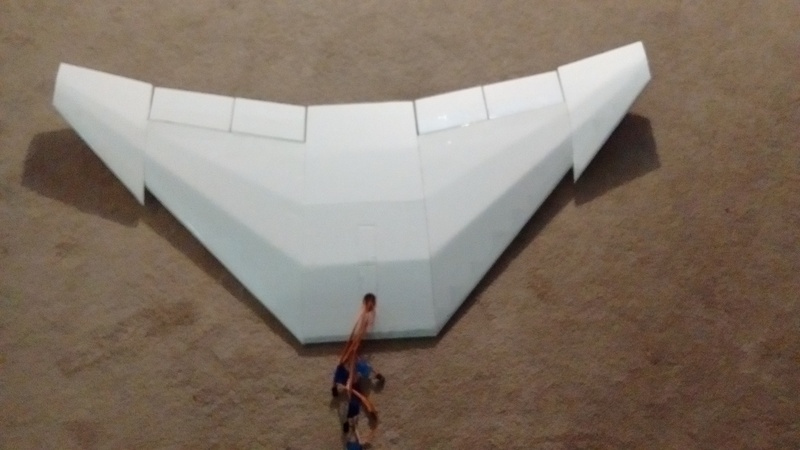 I routed all my wiring to the front of the wing so it will come up into the fuselage and not the air ducting. In my case I had to cut access holes to do this because I sheeted the wing top center before thinking about the wiring. You also need some holes in the spars to get the wires to that forward position. 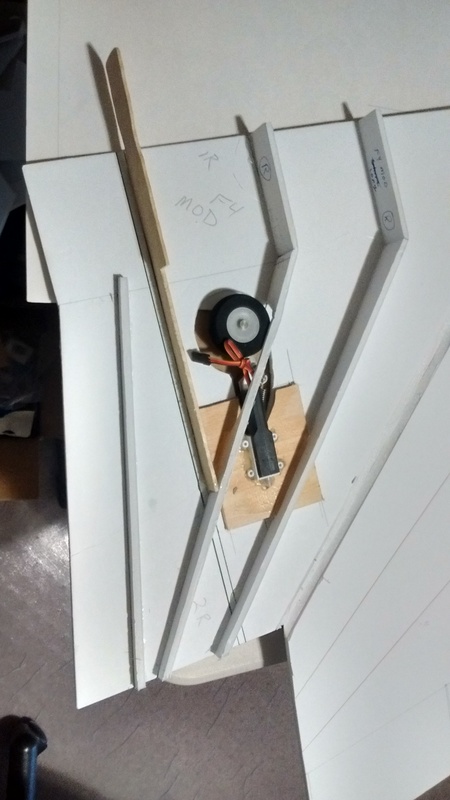 Here are some tools that make holes in foam board, balsa, and ply really easy. 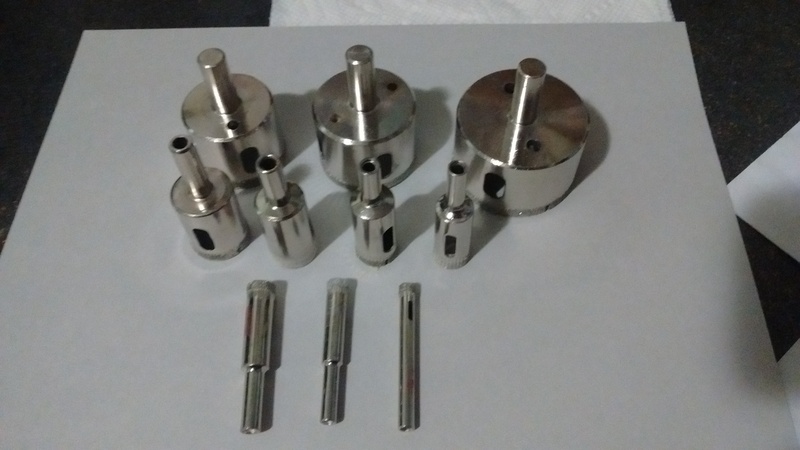 I bought a set of 10 diamond surface tile hole saws on Amazon for $16.99 (https://www.amazon.com/BLENDX-Diamo...lendx+diamond+drill+bits+glass+and+tile&psc=1), they are currently on sale for $13.59. These are great for making nice round holes and they do not split the balsa and ply like a regular toothed hole saw will. They are sized in 10 Sizes: 6mm, 8mm, 10mm, 14mm, 16mm, 18mm, 22mm, 35mm. 40mm, 50mm. Ordered a pair of FMS 70mm 4S EDFs from RC-Castle in Hong Kong on the 14th of Jan and I just got them today, Jan 22! They beat the ESCs I ordered on eBay two weeks ago. Still need those to complete the fuselage. Can anyone tell me how to upload and attachment like a pdf file to my blog? I'm afraid I can't help you with the pdf question, but I am following this thread closely. I'm going to be building one of these very soon but I will be using a 6s batt. I am still slightly confused as to how the stabilator is done so i look forward to seeing how you do that. I finally figured out how to upload the PDFs, not real straight forward and you need to be in advanced mode when posting. As to the flying stab, Ben's pictures in his thread are the best description there is . 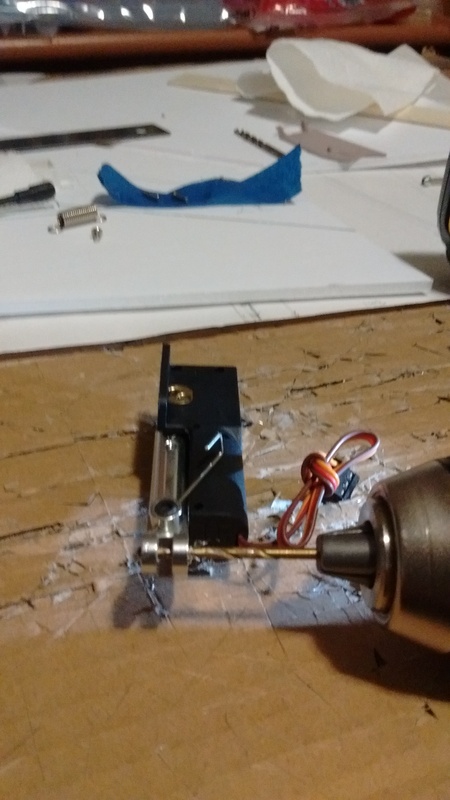 Personally if I were doing it again I would make normal elevator surfaces and run two control rods, one to each elevators using ball end link connectors. But I will cover my build of the flying stab very soon. Yeah, I would advise anyone building this to start with fixed horizontal stabilizer and hinged elevators, either with a Y-rod and one servo or just simply two servos - one in each stab (that's how I did the first one in Ohio). The all-flying stabilator was a fun experiment, and I don't regret it, but I wouldn't repeat it. The wing alone from the F-4 looks like it could fly all by its self lol. Maybe a 70mm edf flying wing??? Anyways great build and coverage of it! I cut out the part, scored the fold area and beveled the edges for folding over and gluing. Since I planned on making mine a full moving stab like Ben's I then marked where the two halves would be cut free from the center section with light pencil marks on the outside of the stab. 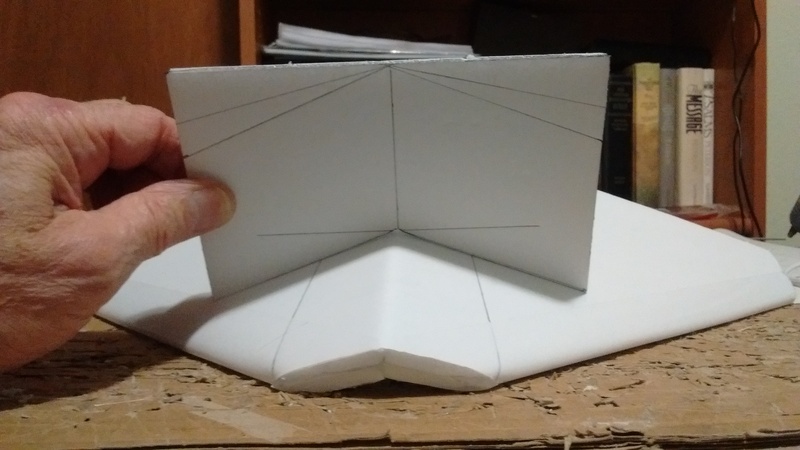 I then creased the anhedral bend area in the center and folded over the stab halves to check alignment and discovered some trimming necessary at the center to achieve the anhedral bend. I also marked on the inside of the center where the stab halves would be cut off. The reason for this is I am only gluing the center section together first. I want to try and sandwich my pivot wires inside the stab halves rather than cutting them in later. 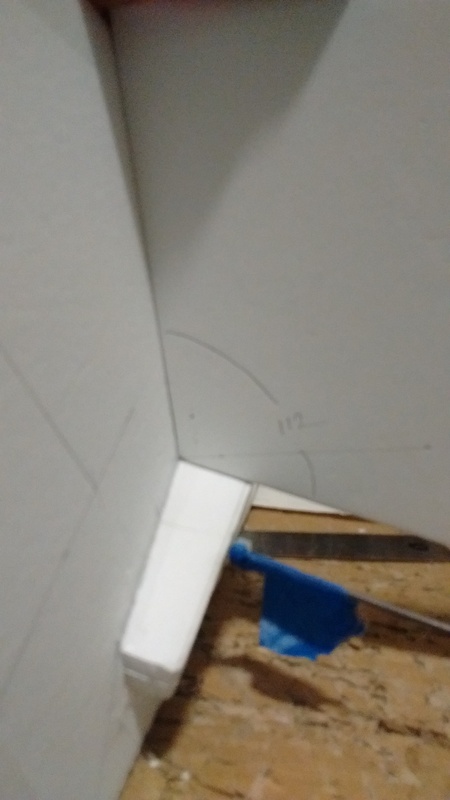 Before I glued the center section together though I made an anhedral degree template at 22 degrees for each side of the stab. See Template picture in post. 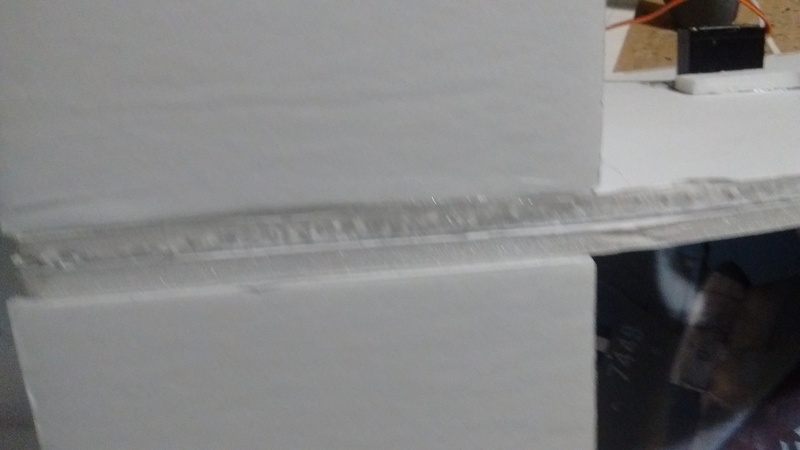 I then added hot melt glue only to the center section between the cut lines I drew earlier. Folded the stabs over and held the center at the anhedral bend using the template as a guide. Sorry no pictures of that as it took all three of my hands just to do this with nothing left to hold a camera. I did take one after they were glued to show what I meant. When the glue was set I then cut off the two halves which are not glued or folded over yet - hopefully. At this point I went to work on the pivot wires and the front control wire. 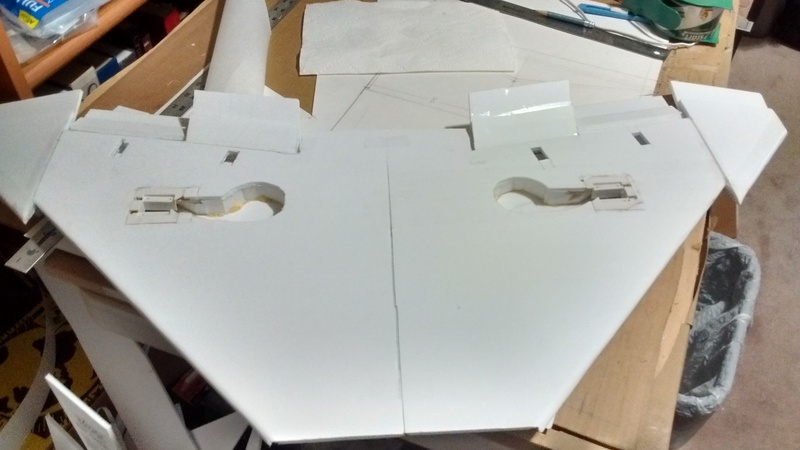 I then made some templates for gluing the center section into the tail at the right anhedral angles and equal on both sides. Then glued the center section into the vertical tail piece. See pictures. I will try to attach a PDF of these templates also for others to use, it may need to be scaled up or down to suit your build. When this was done I then glued one side of the stab over both wires making sure the front control wire fit precisely in the leading edge fold area. Then I worked on the servo placement and my method of controlling that front wire. You have to complete this first before gluing the second half of the stab on so you can slide your linkage pieces onto the control wire. I used a FreeWing ball end swivel just slid over the wire with it's clevis installed. I did need to add a brass eyelet on either side of this hot glued in place to keep the swivel from sliding sidewise and letting the stab flutter. Ben's connector would have been better, but I didn't have any of those. 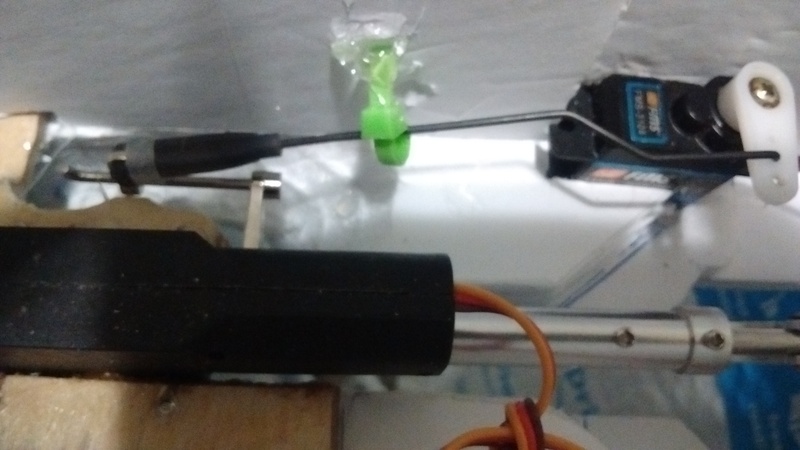 I just made a very short wire with a "Z" bend at the servo arm end. I still had to mount the servo slightly higher up the rudder than Ben did though to get the throw right. See Pictures both mine and Ben's in his build. Ben's are really good close ups. PDF Templates for download at end of post. This was fun. First you need to have the ducts glued together. Then you will need to cut a slot the width of the bottom of the vertical rudder piece right in the middle of the lower duct piece. Make sure this is centered and straight as this will align the verticle stab and rudder to the fuselage. 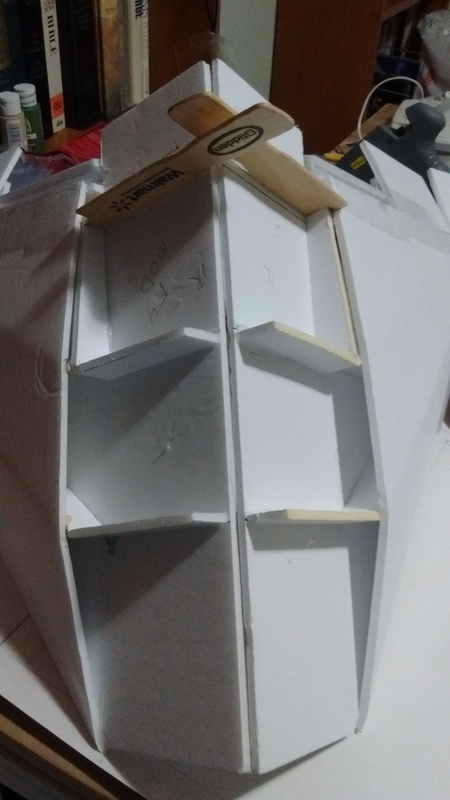 The bottom of the rudder cut out area will glue to the underside of the top of the ducting with the bottom part sandwiched in the slot you made before in the bottom of the ducting. See Pictures. 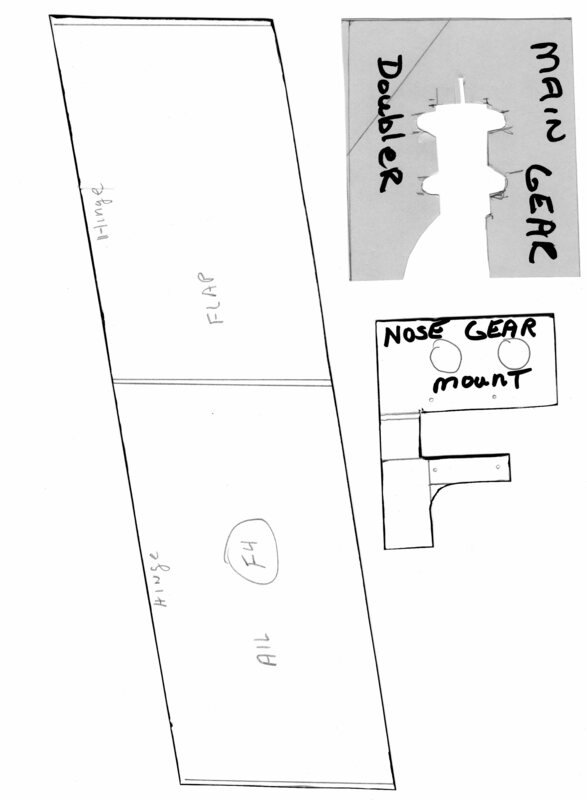 Make sure while the glue is setting that you keep this straight and centered on the ducting. The rudder must be 90 degrees to the ducting and in line with the center line of the fuselage ducting joint. I then cut the rudder out and mounted it's servo and linkage. You will then want to route the rudder and stab servo wires along the top of the ducting to the canopy area. I'm sure you will need servo wire extensions here. They need to go all the way to the canopy area so you can connect to your receiver there. Do this before installing the turtle deck sheeting it is much easier.